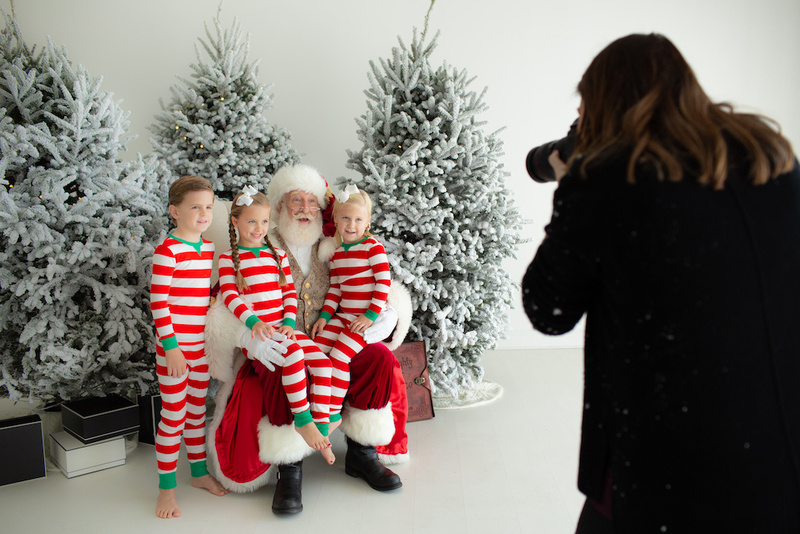 As a former family photographer I had to know more about these Santa sessions. What they are, how they work, and how photographers are making so much money with them. They have taken a process that used to be a nightmare for parents and turned it into something that is a win-win for all parties. Of course there are thousands of different ways to do them so I spent the day with my photographer friend, Sara D. Harper, to see her process. I should start off by stating that there is a lot of planning and backend work that goes into creating these. Sara has an extensive email list that she utilizes in order to book her slots. Word of mouth also helps. She books the Santa 9 months out because as she explained, the good ones get booked early on in the year. A good Santa is basically a make or break for your shoot. At the end of the day I spent with her, she was already talking to Santa about his availability next year. Prepping for the shoot begins in September. 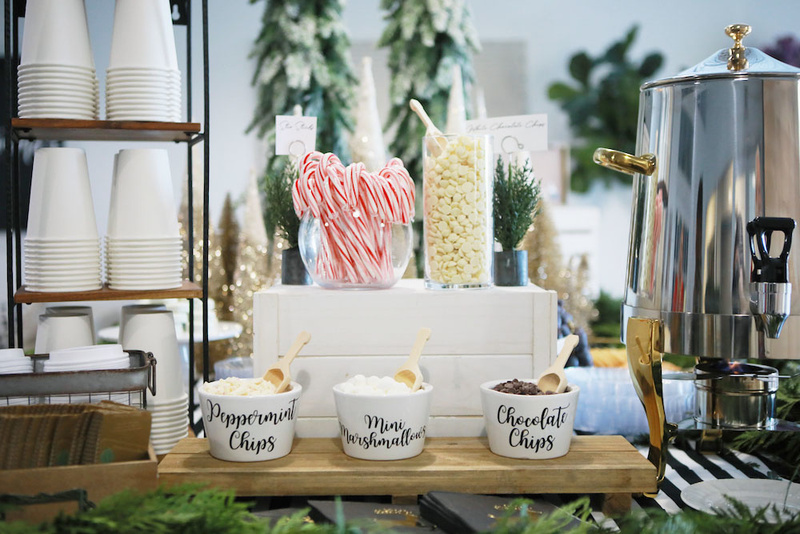 In addition to confirming her Santa, Sara books the studio space and has an event designer help her create a Christmas Wonderland. She created 65 time slots at 5 minutes each. The idea is to shoot each family for 3 minutes with a 2 minute buffer if needed. She then began her marketing campaign giving first booking availability to those that had signed up for her newsletter. The day before the shoot, Sara and event designer, Jaime set up the studio. They divided it into two sides: A shoot side and an interactive waiting space for families. 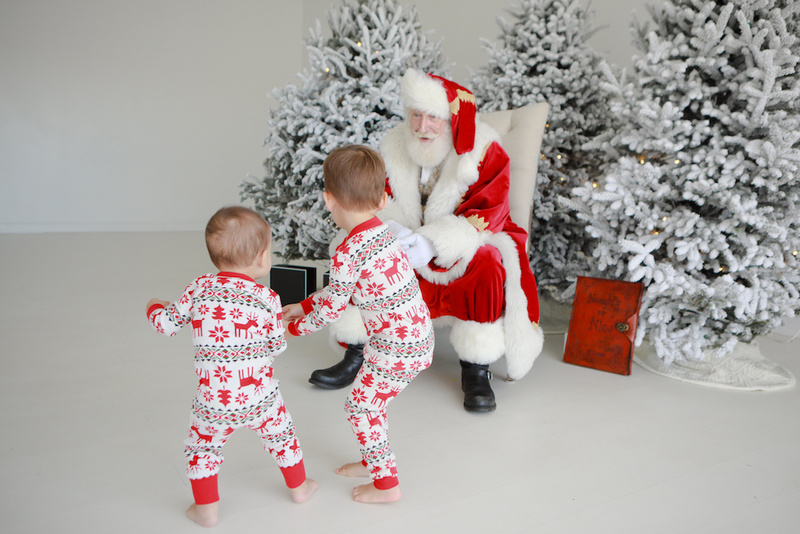 For the shoot side she purchased 3 snow flocked Christmas trees surrounded with presents and a chair for Santa. Simple, yet effective. 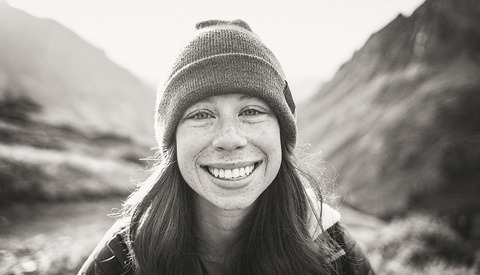 She used natural light for the shoot so her gear setup was minimal. The space had white walls, floors, and ceiling so the natural light flooding the space was beautiful. Sara and Jaime took extra care in creating a magical space for families while they waited. 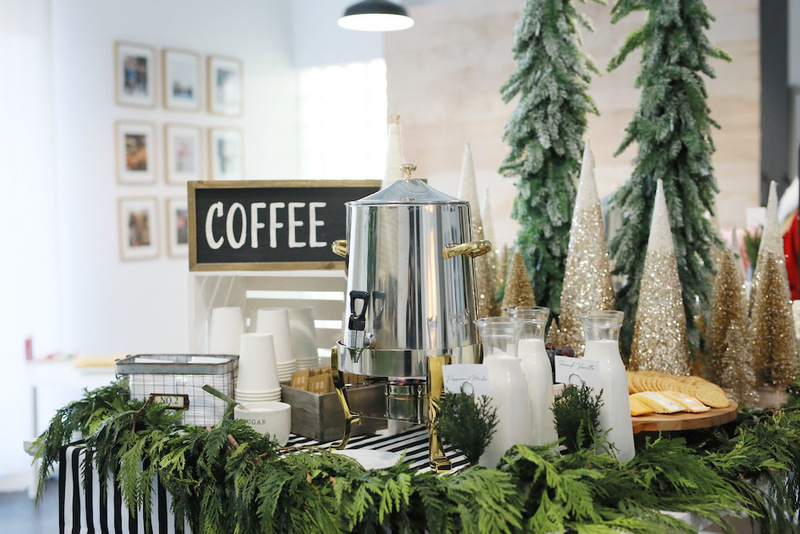 When you first walk into the space you are greeted with the smells of pine and cedar, Christmas music, cookie decorating stations with any topping you can dream up, a hot chocolate bar, a coffee bar, cookies, snacks, etc. It really is elaborate and you can’t help but smile when you walk in. Even after families had completed their session they hung out for quite a while enjoying everything that had been set up. The day started at 9am and she had 65 family time slots to shoot in 6 hours with one 20 minute break scheduled. 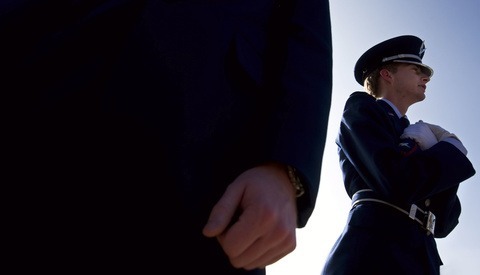 My job was to help check in the families as they arrived and guide them through the process. I would call the families that were due up and give them a few minutes to prep, even let the children peek around the corner at Santa if they seemed nervous. Sara and Jaime also had wet wipes available for snotty noses and food stained mouths. It was a little detail so many parents were impressed by and thankful for. Each of Sara’s sessions were $155 for 3-5 minutes shooting time and 4 digital images from the shoot. Once families receive the gallery, they will have the option to upgrade their package to order additional digital images if they want. Minus this upgrade, 65 families at $155 each brings the grand total to a whopping $10,000 gross income. Of course she had expenses. The Santa for one. He isn’t what I would call cheap. He’s good and with that comes a price tag. There’s also the studio space, decor, event design, and assistants. But $10k with potential session upgrades isn’t a bad pay day. Overall I was impressed with the entire process. Yes, it is a lot of work and even I was completely exhausted by the end of 6 hours. What I loved about it is that each session is quick and to the point. There aren’t any location changes. There aren’t a million poses needed. You don’t have to worry about what kind of light you are photographing in or it changing too drastically. When Sara first told me each session was 3-5 minutes my first question was is that enough time? She assured me in this environment is was and that in some cases it actually feels like a long time. Watching the sessions for myself, I definitely found this to be true. In fact when it was only one or two children 3-5 minutes was more than enough time. Time really only became an issue with families with more than 2 children. Why? Well because it took more time to coral everyone together and get them on the same page for the photo. Most parents wanted individual photos of each child with Santa and the more children involved the longer this took as well. I’ve looked into various photographers that offer these and some shoot for longer periods, which extends the number of families you can photograph. Two additional hours creates the opportunity to photograph 20 more families! You could also add on additional shoot days in order to really maximize the season. Sara told me of photographers she follows that bring in as much as $30,000 just from Santa Sessions! Photographers have come up with a solution for families with two or fewer children and those with more. They offer two packages: A 5 minutes session to families with two or less children and require more time and a higher fee for families with 3+ children. 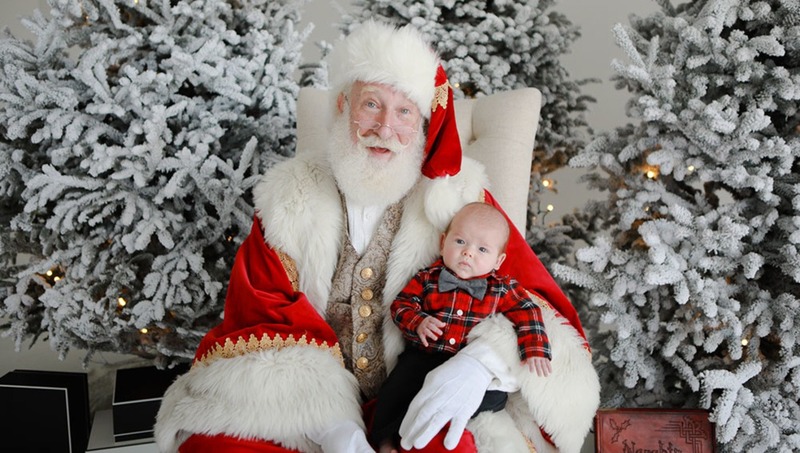 I’d love to know if you offer Santa Sessions or have ever experienced being a part of one. I fully thought I’d return to my family session days and offer these myself after hearing the numbers, but like with most things, after being a part of it you realize just how much planning and work really goes into them. I think I'll stick to fashion photography. I shoot fun Christmas cards for families (austinchristmascards.com). Most are local and some I travel for (about 10-20 a year). 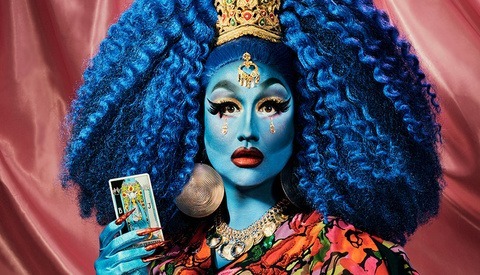 It can definitely be a lucrative time of year, but I feel like I would be overwhelmed with the amount of sessions she is doing. What if a family is 10 minutes late? :) it’s great work, but I think that schedule would be too much for me! Thanks for sharing! Wow I have never heard of this. Kuddos for all that prep work and making it look fantastic! I think I would be to tense with that tight schedule. I always try to allow 10-15 minutes in between in case someone is late or something happens that makes us run late. Obviously these are different then posing but she still has to get the kids looking and hopefully smiling. Great job! 5min per kid seems reasonable, and is probably more than what the mall-santa photo shoots set aside. I do wonder, though, what the profitability was. 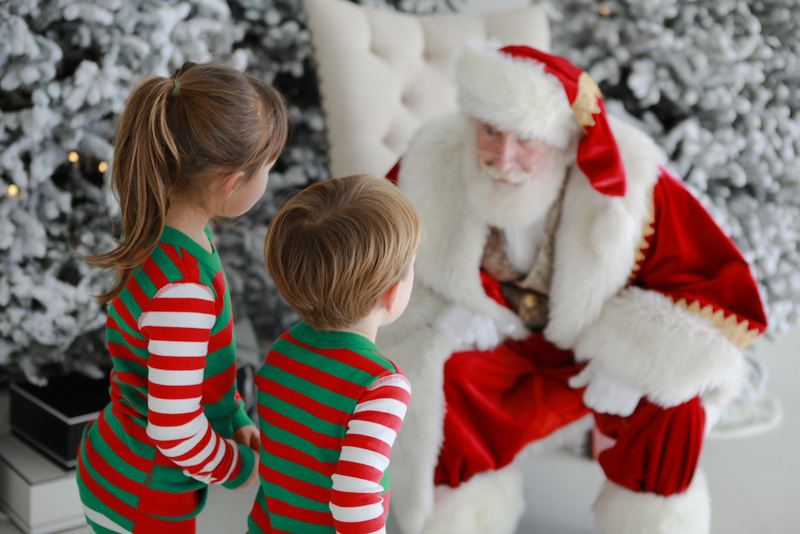 Renting a Santa, assistant, the props, the studio space, liability insurance, taxes, etc., all add up fast. Thats what I want to know. 10k sounds like a lot, but with all the prep time and costs, 10k isnt really the truest of numbers. I poked around a bit. 65 families * 5 minutes = 5 hrs 40 min. The event designer - again, no price info. Google says price for event staging ranges from $500 to $5000 depending on the size of the space. Let's say $500. Studio - list says $400 for 4 hrs plus additional $100 for every hour past that. So $600. Unclear how many assistants there were. Author wrote "assistantS" at one point, so let' say at least two, for 6 hours, at $50/hr. $600. So, now we're up to $2300 in expenses, not including props. Unclear whether the furniture are included w/ event designer or provided by the photographer. Takehome is about $3700. Not too shabby, even after factoring in marketing and editing time. I think you are underestimating some of the costs. For example the studio rental has to be more than 6 hours if she is shooting 6 hours. There is setup and teardown time to consider. Also I think $100 an hour for Santa is on the low end. Of course this is highly location dependent. But hey even if it is $2500 profit for the day that isn't too shabby. A lot better than editorial day rates of $500 for the day. A rule of thumb for the type of commercial/Adv work I do is on the final invoice 1/3 is for me and 2/3 goes other places. So while the bottom line may be $10k the take home is less. But if 1/3 of the families buy additional print packages, it could add up to a tidy profit. I really wish the author would've included all the expenses to include studio rental, taxes, insurance, marketing hours, travel, gas, lunch, food, coffee, editing, etc etc. It's a great idea don't get me wrong but very misleading to those "photographers" that do not know much about the business end of photography. I wonder how many hours she spent or her assistant(s) spent in post production and it's obvious this article is designed for the fauxtographer/hobbyist. yeah, would be more interesting to see the bottom line rather than the top line. I would guess its still a few thousand dollars $3-5K perhaps and possibly more depending on how many people purchase additional gallery images and prints. Certainly not a bad payday. I did some napkin math (see above) and you're not far off with your guess. Used to shoot families and kids... 5 minutes doesn't seem like long but when they don't want to take directions or they start throwing a fit, 5 minutes can seem like a lifetime. It's not for everyone. This is not useful without any cost data. It’s quite possible that with all the time and effort invested over a span of months, in addition to rental and labor expenses and IRS cut, this was a net loss. I’m not saying it was a loss, I’m saying that gross revenue doesn’t convey whether this is a great idea or a terrible one or somewhere in between. Not to mention I can make 10k in a day and not have to deal with 65 sets of parents and their hyper children in my studio. There are lots of ways to make money that don't involve that kind of stress ha ha. I can see this working for some, but it's not my thing. Yeah, "Crazy demanding helicopter parent fee" should most definitely be a serious line item. No thanks! For those of you are clearing, not billing $10k per day in your studio , obviously this plan is not for you...Others might find it useful for next year. I used to shoot Santa pics at a movie theater. I had a green screen setup and gave people the choice of 3-4 backgrounds and printed a 4x6 photo on the spot which I sold for $5. Evidently I should have been charging MUCH more. I still made ~$2k+ over about 6 Saturday afternoons in Nov/Dec until...my Santa died. We had worked together every year for about 5 years and one year I called in October to confirm schedule and learned he passed away that summer :(. He was a great guy and even had a real beard. This would be one of my biggest concerns. Good Santas book well in advance and so much is dependent on him. I wonder if she has a backup plan. Although this has been going on...forever. The results speak for themselves here. These are Santa images that are missing those poorly staged, 'deer in the headlights look', and are subtle. The natural light was the real maker here and took away the harsh shadows and added to the images. Just well done on both the idea, and margins on the day.. Continued success ! 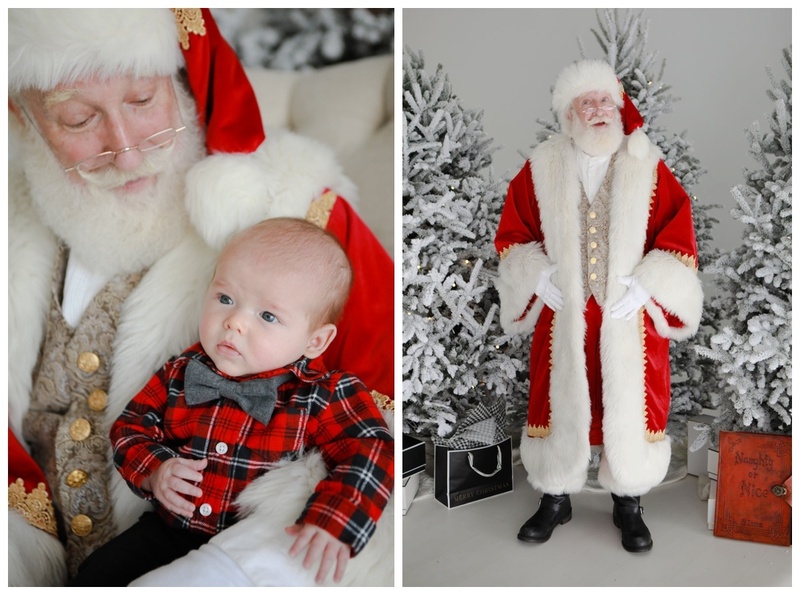 Man, Santa has some serious big-as-your-head-sized hands in that top pic. What have learned from this.. I must become an agent for " SANTAS for hire."